RESIDENCE SPERANZA is a brand new complex that has been designed and built to assure our guests the most comfortable of holidays, relaxation and comfort …a home away from home.All the apartments are furnished with a sophisticated marine taste, and they all have modern facilities: armoured door, air-conditioning, heating, safe, satellite TV, Sky, Wi-Fi, hob, microwave, refrigerator, washing machine, iron and ironing board, bathroom with shower, comfortable hairdryer, large private car park, cleaning on alternate days excluding kitchen and towel change. 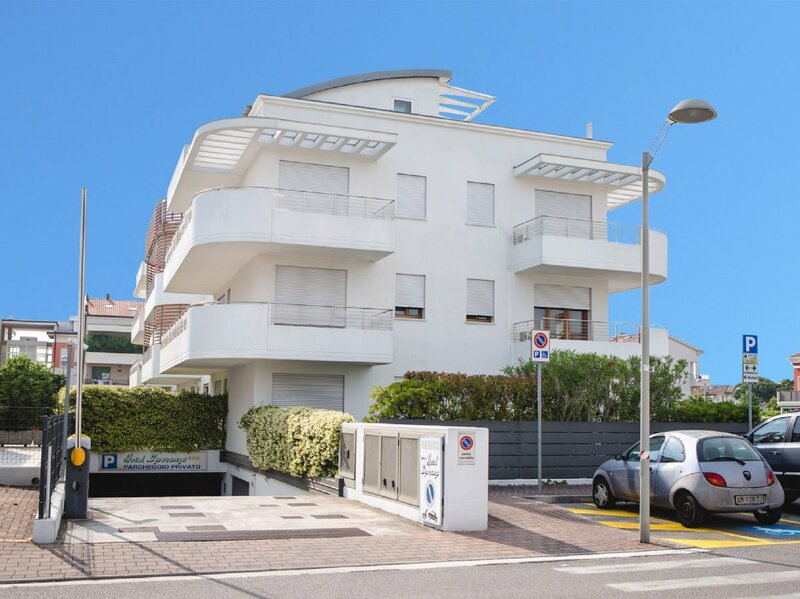 Residence Speranza allows absolutely independent access to the apartments. Privat Beach for sun loungers and umbrellas free.